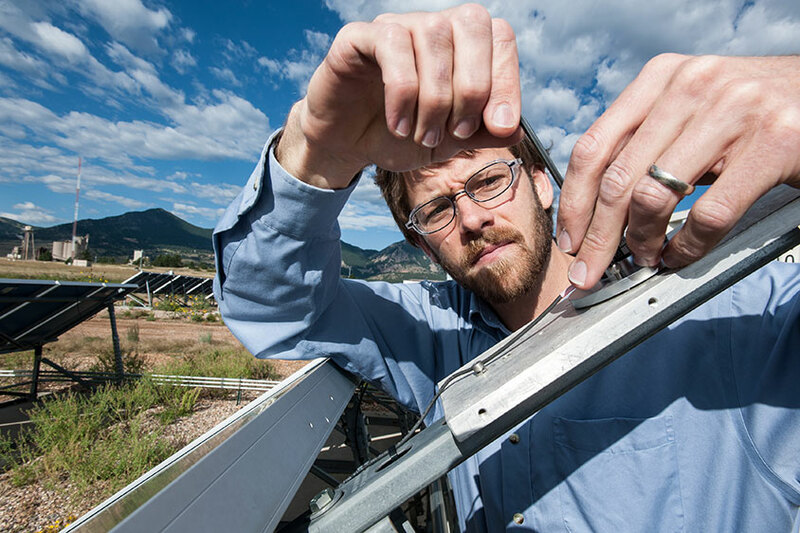 Work with engineers in applying the theory and principles of engineering to plan, design, evaluate, and improve the performance of solar energy-related equipment, processes, and facilities. Engineering technicians use the principles of science, engineering, and mathematics to solve technical problems across all sectors of the solar industry. Their work is more narrowly focused and application-oriented than that of the scientists and engineers they assist. Civil engineering technicians, for example, might design layouts for solar-related projects to ensure compliance with profile and component specifications, square footage, and material quantities; review solar-related project blueprints and structural specifications to determine dimensions and material requirements of a solar structure or system; and develop plans and cost estimates for system installation, facility use, or construction. This advance most often requires a bachelor's degree in engineering. This move involves solar-specific training in electrical and mechanical systems . Requires solar-specific training in performance monitoring and large-scale electrical systems. High school level trigonometry, geometry, and algebra are essential; Associates degree in engineering technology is strongly preferred. Education paths vary depending on type of engineering; technicians usually need a 4-year degree to advance as technologists or applied engineers.